GameStop GameDays Are HERE + Enter To Win A HUGE GameStop Prize Package (ARV $880)!!! 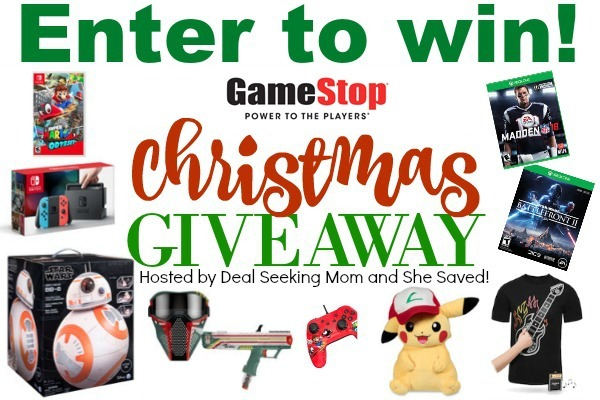 This post is in partnership with GameStop, your one-stop shop for stocking stuffers to gaming systems and everything in between. Thanks for supporting us and the brands we love! GameStop is truly one of my favorite stores to shop for gifts year round. If you haven’t stopped in lately, you really should… They’ve become a one-stop shop for everything from stocking stuffers to gaming systems, plus everything in between! 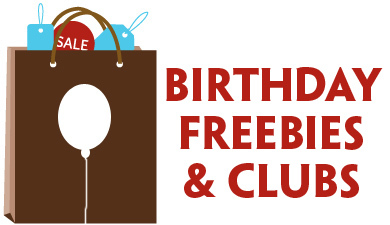 Find the hottest deals below, and then keep scrolling to enter to win an AMAZING giveaway. 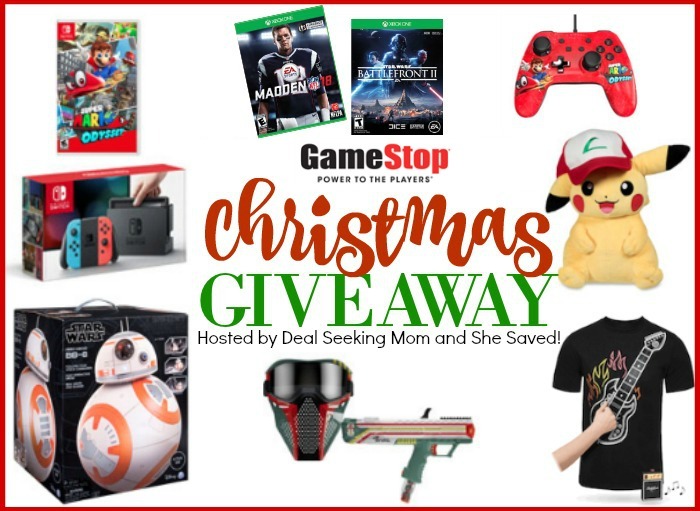 I’ve teamed up with my friend Keri Lyn from She Saved and we are each giving a way a HUGE GameStop prize package worth over $800! To enter for a chance to win, all you have to do is enter on the widget below (entering below will qualify you to win either prize package). 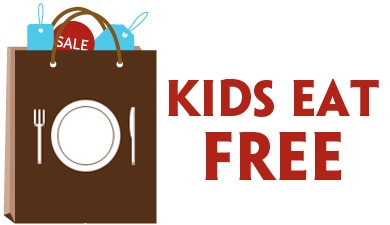 Last-Minute Shoppers Have No Fear – GAME DAYS Are Here! These deals all start tomorrow and run through December 24th, so your friends at GameStop have you covered for all of those last minute shopping needs. If you haven’t yet visited your local GameStop store, I highly recommend it. They have just about everything you could need for all of the gamers and collectors on your list! 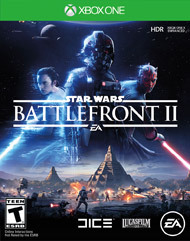 GameStop is saving the day for holiday procrastinators with amazing deals on consoles, games, accessories and collectibles during GAME DAYS, from Dec. 17 – 24. From the Xbox One X console to this season’s most popular game titles and toys, GameStop is giving customers a chance to cross off everyone on their list at amazing prices. Now for the fun part… TWO lucky entrants will win a prize package which includes everything that you see below!!! 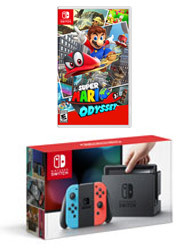 The Nintendo Switch with Neon Blue and Neon Red Joy-Con Super Mario Odyssey System Bundle includes: Nintendo Swith with Neon Blue and Neon Red Joy-Con, Super Mario Odyssey. This Star Wars RC droid has authentic lights and sounds, plus film-accurate aesthetics, making it perfect for fans of all ages. Hero Droid BB-8 brings to life the amazing hero from Star Wars: The Last Jedi! 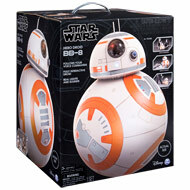 Now you can re-create your favourite scenes from the movie or embark on new exploits with this RC droid by your side! Take home Hero Droid BB-8 from Spin Master and roll into adventure! 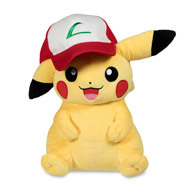 Large plush topped off with a familiar Trainer hat: this is an amazing Pikachu! Hug it, swap out hats, wrestle with it! Hat is one size – 7 inches in diameter – and fits most teens and adults! Plush stands 13 inches tall without hat and 16 inches with hat. A Pokémon Center Original design. Get a little wearable ROCK magic! The Electronic Guitar Shirt is not a toy that plays pre-canned musical riffs. It is a real musical instrument that allows you to play your favorite songs and sound great doing it. Don’t forget, you can see everything shown above and more in GameStop’s full lineup of in-store and online GAME DAYS deals here! This giveaway will close Tuesday 19th at midnight (MST)… Once closed, we will each select one winner who will have 48 hours to respond to claim their prize! GOOD LUCK!!! Previous Post: « Huge Premium Magazine Sale: Rare Titles + GREAT Prices! All are amazing! Pikachu is favorite. this would be amazing. My daughter wanted a switch really bad for Christmas but we just could not pull it off. My kids would be over the moon if I won the Nintendo Switch for them. It’s their “big dream” item for Christmas. They love Mario but are also excited to play the Arms game against each other?! All my son, Jaxon talks about is Madden 18! This entire package would be an AMAZING Surprise! My kids will like it!!! My boys would love this. Things have been hard this year. I love the Pikachu! But my son really wants the Switch. What an amazing giveaway! We’d love to have a Switch! Pick us please! My son would ‘ve so excited for everything. Especially the Nintendo Switch. The Nintendo Switch would be amazing! I love that guitar shirt too. What an amazing giveaway, thank you for giving us the opportunity to possibly win! 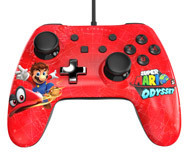 My three sons and husband would be so thrilled with this, the kids are hoping for a Nintendo Switch for Christmas, but just not within our means. Love your blog and all your posts on Facebook!! 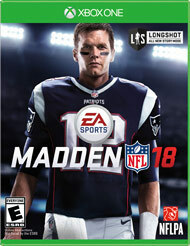 My grandson would love Madden 18. This is the MOTHER OF COOL STUFF !